December 2, 2016 | -by: Kevin George. Startups do not start making billions overnight – it takes a great marketing strategy to do so. While ‘seed’ businesses have been actively using channels like social media, online and offline advertising; but nothing can beat email marketing when it comes to reaching out to your target audience. At 33% less cost than other lead-generating mechanisms, emails generate 50% more sales. However, with more than 122 billion emails flooding inboxes worldwide every 60 minutes, it is very important to outperform the other email campaigns. So how does your startup brand steal the limelight and help brand building. Coming to cold emailing, it is not really a good idea considering higher possibility of your email be marked as spam – that can invariably hit your Sender Reputation even before your business spreads its wings. You have to understand that venture capitalists would not have the time to catch up with you at dinner and email is the only communication medium you can rely on. 1. Make sure you write a succinct personalized copy that explains why you chose a particular venture capitalist for funding, and why its win-win for both. 2. Present your ideas innovatively using interactive elements like sliders, rotating banners, etc. in email rather than sending one with bulky attachments. 3. Proofread your copy. You cannot afford to lose an opportunity just because of wrong spellings or punctuation. 4. The email should not be written with the aim of getting money. 5. Introduce your startup in a convincing way with minimum use of business jargon. 6. Share how your idea can solve a specific problem. 7. If you have a follower base or a customer base, convey the progress you have made and the kind of customers you have. Provide numbers and statistics to support your traction facts. 9. Conclude the email with a polite request like “Please let us know your convenient time for a brief call” rather than “Kindly invest $3.0 M”. 10. Your email should uphold your personality and confidence that your leadership can sail the ship (startup) along. Pro Tip: Along with email marketing harness the power of social media channels to get in touch with the investors, if you believe they are more active on those platforms. If your email covers all these important hacks, keep your fingers crossed; you will surely receive a response. 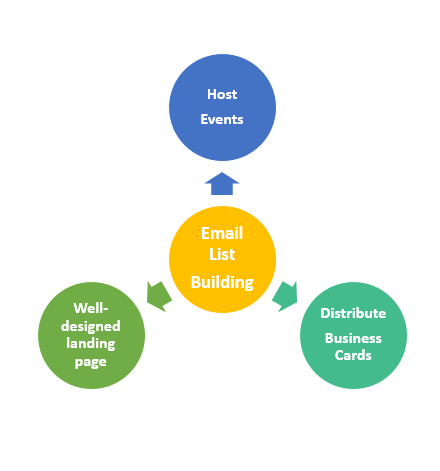 List building is not about “buying” lists. To be (brutally) honest, it is a very bad idea. 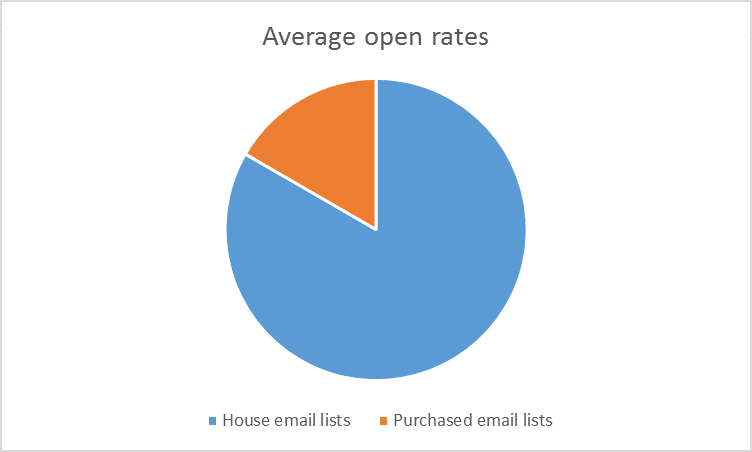 In fact, as per an Aweber study, meagre 12% reported a greater ROI on purchased lists as opposed to 45% for house email lists. You ought to have a well-designed landing page that promotes the product or service you’re offering with the startup. You can even request an email address from the people who would like your product and want to get more details about it. Go for drip email campaigns once you get a good number of subscribers and appreciate them for being early-adopters. In addition to these, you can also build your own genuine database through customer surveys or local banner advertisements. Pro tip: Create blogs of your niche business, and seek subscriptions. You may end up building an email list of like-minded people looking out for your similar niche in business. Quality matters more than quantity. It’s a futile effort to expand your list unnecessarily only to have uninterested subscribers who are not really adding any value to your startup. You can even have feedbacks or reviews from them and improvise on your services to generate greater ROI. Given the limited resources a startup generally begins it, you have to make most of the resources you already have. Once your email list gets sufficiently long, you can segment your audience according to their age, gender, location, interests and other preferences. You can take help of dynamic content to make sure you tell your audience what they are interested to hear. Segmentation is your gateway to send out more relevant emails, thereby enhancing the performance of your email campaigns. 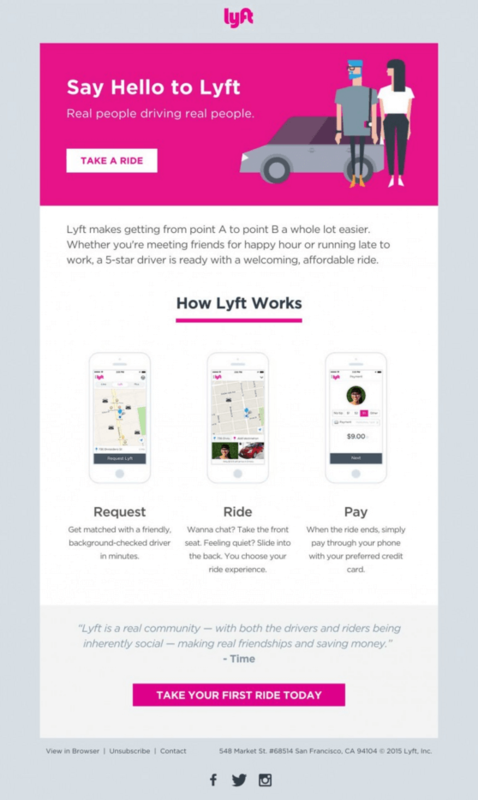 The first step to win over the new customers and retain them is to send out welcome emails whenever they subscribe. According to Econsultancy, 64% of subscribers expect to receive a welcome email within 15 minutes of signing up. For a startup, offering a discount coupon to engage your target audience and encourage new sales can be a great idea. This sounds clichéd at the first read but it is a critical point to keep in mind that you do not over promise, nor cut corners. At the same time make sure you follow the email marketing best practices so that your emails do not land in the spam box. For a startup especially, all efforts ending up in digital trash bin can be catastrophic. Mobile phones have changed the way emails are perceived these days. With 56% users now accessing their email in mobile devices, mobile responsive design is critical so as to ensure maximum reach. With email marketing, you cannot afford to go wrong; and especially when it comes to startups, even a small glitch have irreparable effect. So test, test and test your emails before you send. It’s better to be sure than be sorry. Isn’t it visually pleasing to read the email? The clear CTA, the step-by-step explanation in the copy and the concluding CTA all aim to draw the attention of the subscribers and persuade them to ACT. Powerful email marketing coupled with social media marketing has led the startup to become a brand with a revenue of USD 800 million. The welcome email by theSkimm is informative and offers total clarity to the subscribers about how they work and what can the subscribers expect from them. No wonder they have grown 3.5 million subscribers worldwide since its launch in 2012 and that is even more than the number of subscribers of New York Times digital. 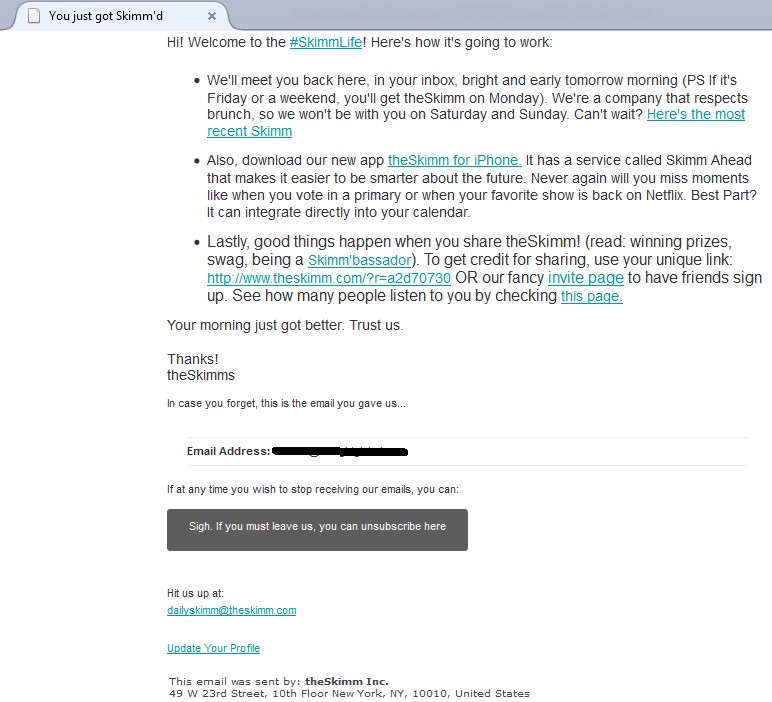 The success of “theSkimm” proves that emails need not be short always. You can have long newsletters and still get it scrolled till the last word. Email practices are constantly evolving and the key is to keep thinking differently. Perhaps, now in the recent times their emails would be inspired by interactive elements like Menus & Accordions. • Start with welcome email, followed by promotional emails. Keep in constant touch with your subscribers to make sure they do not forget about you.